All NEW WOOD-LIKE (PLANKS) TILE JUST INSTALLED ON MAIN FLOOR APRIL 20. Beautiful 3 bedroom 2.5 bath 2 story unit WITH GARAGE in Legacy Place. Granite counters, stainless appliances, in living area, closet systems in every bedroom, and expanded master closet. Corner unit with outdoor patio. Just off PGA near Gardens Mall, I95, Turnpike and beaches. 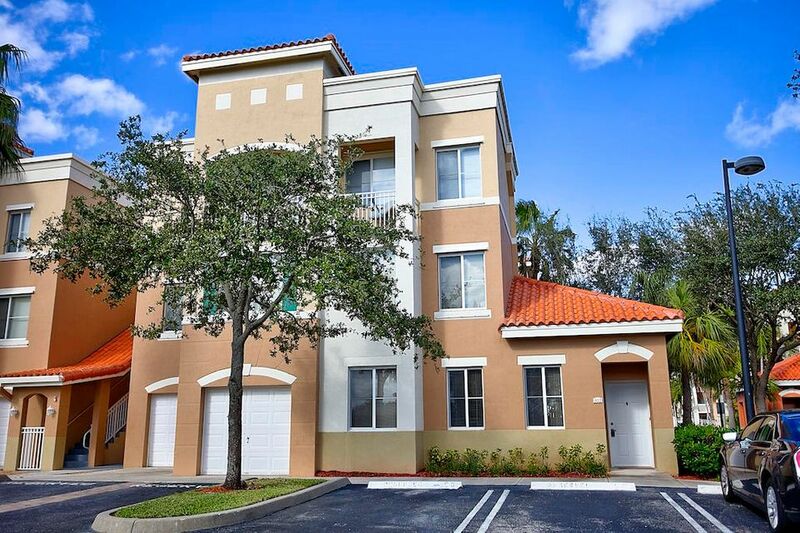 Walk to restaurants, Publix Greenwise market, post office, and more. Community offers pool, fitness center, and tennis.